Todays edition of the New York Times included a very polite, well written F*CK YOU LIBERAL JEWS from pundit Shmuel Rosner. 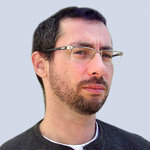 Rather than simply blowing us off as fair-weather friends who live elsewhere, Rosner’s time and verbiage would have been better spent trying to defend indefensible: the hostile positions of Israeli hawks who think that “mowing the grass” by killing a couple of thousand people every few years is somehow more desirable than trying to exist with a state of Palestine. It’s hard to find a Jewish Israeli who doesn’t identify with it. Lefty Israelis interpret it as a protest song. It was sung at demonstrations against the 1982 Lebanon War and vigils following the 1995 assassination of Prime Minister Yitzhak Rabin. Israelis on the right interpret it as a patriotic song about attachment to the land; they sang it after terrorist attacks and during the 2005 withdrawal from the Gaza Strip. I was reminded of the song in recent days as I read a string of articles by smart, savvy, knowledgeable, non-Israeli Jews, who say that the brutal war in Gaza has made them question their Zionism. What unites these writers, of course, is that all of them do have another country. And that’s why, when push comes to shove, the Israeli government doesn’t — and shouldn’t — listen to them. These writers aren’t all cut from the same cloth, but their arguments are similar. There’s a heart-warming side to their articles; they are all clearly concerned about Israel. “I care about Israel personally, rather than abstractly,” the American journalist Ezra Klein wrote in Vox. On the other hand, they are disappointed, sometimes horrified, by an Israel for which they still care, but not as much as they used to. Roger Cohen, writing in these pages, argued that current Israeli policies are a “betrayal of the Zionism in which I still believe.” Their conclusions are also similar: They are “less sympathetic” to Israel than before, as Jonathan Chait put it in New York magazine. As a group, they are a shining example of a phenomenon that Atlantic Monthly and Haaretz columnist Peter Beinart has popularized: the distancing of liberal Jews from Israel, especially in the United States. This is a bleak prediction, because support from America is a cornerstone of Israel’s security. If Jewish liberals aim to erode that support, they should remember that Israel has managed in the past to make do, even with weakened American support. But I assume their motivation is different. Sometimes it feels as if liberal Zionist critics are trying to ensure that Israel’s deeds do not rub off on them. At other times, it feels as if they’re trying to clear their conscience of something for which they feel partially responsible. They seem to believe that the implied threat that Israel might lose Jewish supporters abroad will somehow convince the government to alter its policies. This is a self-aggrandizing fantasy and reveals a poor grasp of the way Israel operates. To put it bluntly: These Jews are very important, but not nearly important enough to make Israelis pursue policies that put Israeli lives at risk. Of course, not all Israeli policies are smart, and it’s not imperative that all Jews agree with them. Israelis are susceptible to persuasion. But using the threat of eroding Jewish support as a scare tactic stands in the way of effective persuasion. Israelis, like most people, prefer to take advice from those they believe have their best interests at heart. But is that really the case here? Moreover, the threat of liberal Jews distancing themselves from Israel is a hollow one. Jews of other nationalities are the proud and patriotic citizens of other countries, and they are free to make the decision to detach themselves from the greatest Jewish enterprise of the last two millenniums. But they aren’t like baseball fans who move from New York to Boston and, with great difficulty, stop rooting for the Yankees and learn to cheer for the Red Sox. If they still want to root for a Jewish state, there’s no substitute for Israel. If they believe there is a need for Jewish sovereignty, Israel is the only option available to them. Like in that song, there is no other country even if the land is on fire. Clearly, these critics of Israel’s behavior believe that Israelis themselves would be safer if the country adopted their prescribed liberal policies. That might be true, but it makes no difference. On matters of life and death, war and peace, Israelis are going to make their own decisions. If they lose the support of some liberal Jews over it, that would be regrettable, but so be it. Israel will have to learn to survive without that support, and I’m certain it will. Shmuel Rosner is the political editor at The Jewish Journal and a fellow at The Jewish People Policy Institute.